Snapchat is one of the top five social media platforms among young people, with approximately 150 million daily active users. While Snapchat is designed to be a fun photo, video and text messaging app, a number of features—particularly the Snap Map function—pose serious safety concerns. Introduced in a June 2017 update, Snap Map allows users to share their exact location with their friends within the Snapchat app. Snap Map gathers location data using a smartphone’s GPS sensor and displays the time of day an individual is at a specific location and his or her speed of travel. This information is shown on a map that can be accessed when a user first opens Snapchat and pinches the screen to zoom out. While Snapchat users can choose to share their location with selected friends, any posts users share on Snapchat’s “Our Story” feature will appear on the global map regardless of their privacy or location settings. As with many apps that use geolocation features, privacy is a major concern. Many fear the Snap Map feature opens users up to the risk of stalking, burglary or kidnapping, particularly because locations in Snap Map can be viewed down to exact addresses. Edit your location settings by clicking the gear icon in the Snapchat From there, scroll down to the “See My Location” tab and turn on “Ghost Mode.” This will prevent others from seeing your location. Snapchat is a popular app for young children. As such, it’s important for parents to speak with their kids about online safety. 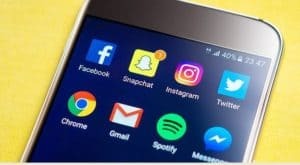 Children should be instructed to avoid sharing their location on any social media app, even if they think the information is only viewable by friends and family. If you have other safety concerns related to Snapchat, you can submit them to the company here.